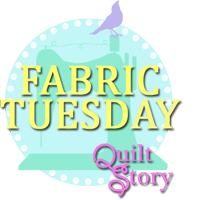 this is my first time entering the bloggers quilt festival over at amys creative side! 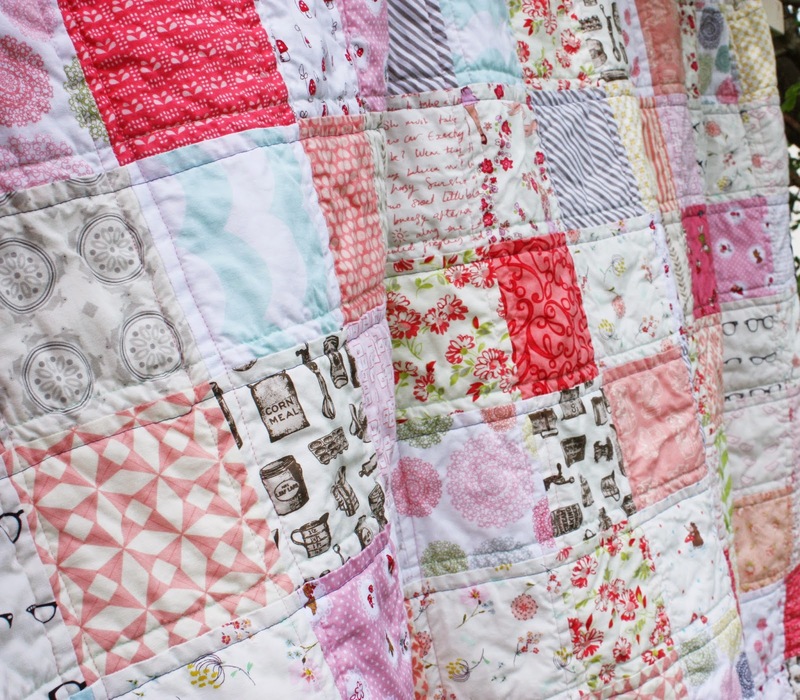 there are soo many amazing quilts linked up, you should go and check them out! 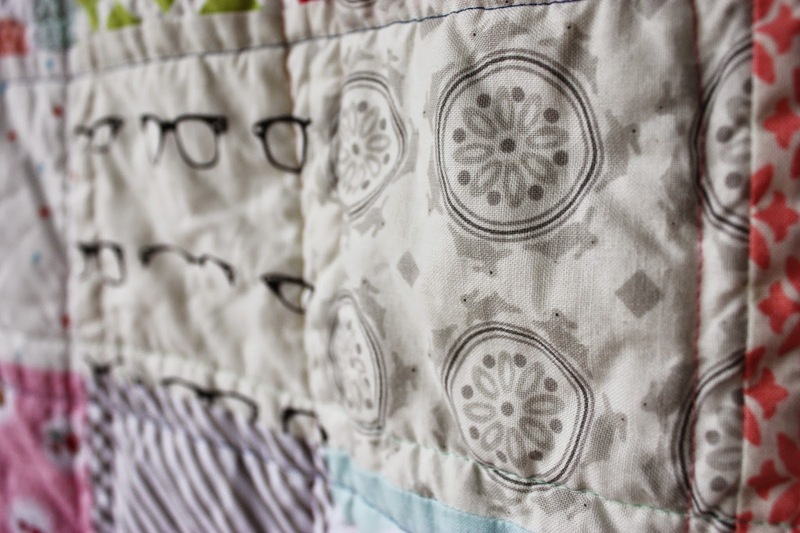 the quilt i am linking up is my 'up in the sky' quilt (which i started almost a year ago!) are you ready for lots of pictures?! i fell in love with the low volume look and jumped on the bandwagon after seeing rita @ red pepper quilts, low volume quilts. i wanted to keep it simple and went with 5inch square patchwork. i used one of westwood acres amazing low volume fabric bundles and added in my favourite pink fabrics, including a much hoarded square of heather ross fabric! i have to say when i had finished piecing the top i fell a little out of love with it, and it sat and sat for months being neglected, then one random day i decided to baste it with this backing fabric and start quilting 1/4" on each side of the seam, it was all going well, then i got distracted by other pretty projects and it got neglected again! 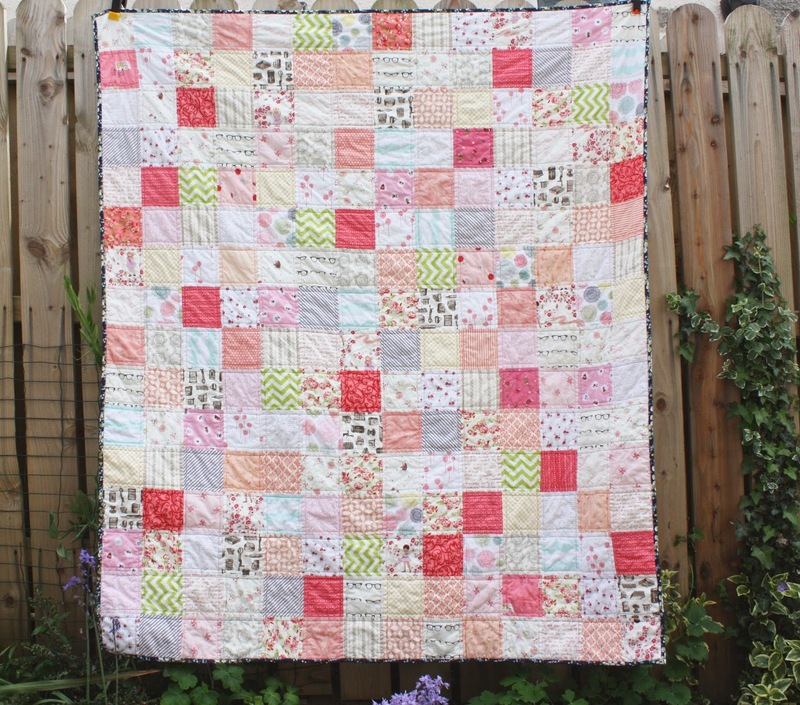 i have now fallen back in love with my pink quilt! and will be bringing it to cub camp with me next weekend! i bound it with a navy joel dewberry print, even though i was told it would't work, but then i like things that don't necessarily work. i love this little bunny print and wish i knew what it was. the finished size is 61"x70" the perfect size for snuggling under. so that is the story of my 'up in the sky' quilt, my longest ever work in progress, but i'm soo glad i finished it! Beautiful job. I love all the different fabrics you used! 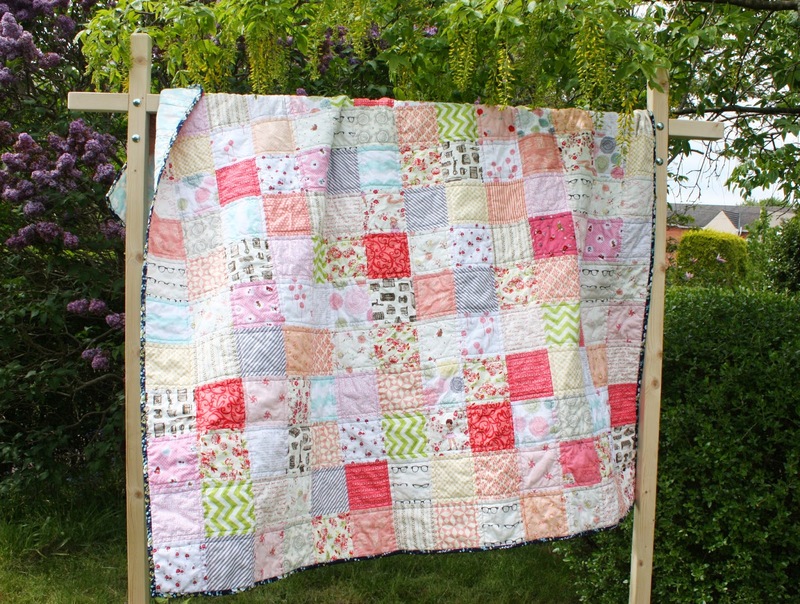 Really lovely quilt! Very special fabrics and wonderful blend of colors! 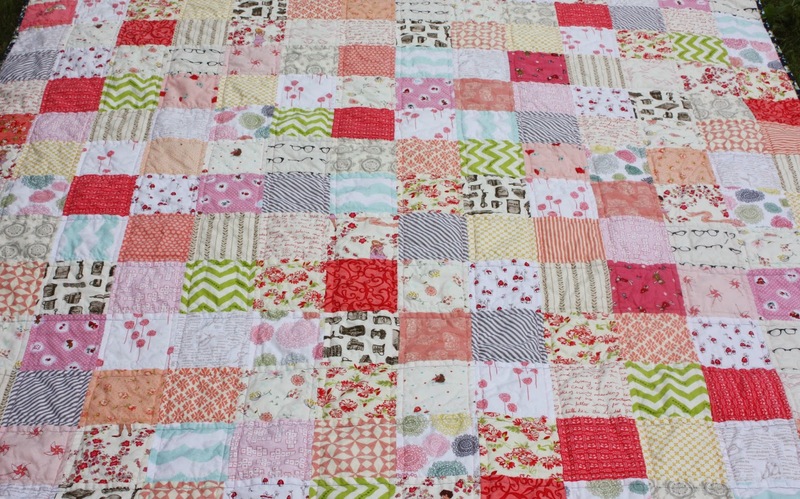 It really is a sweet quilt - I'm so glad you got it finished in time and that the love affair is back on! 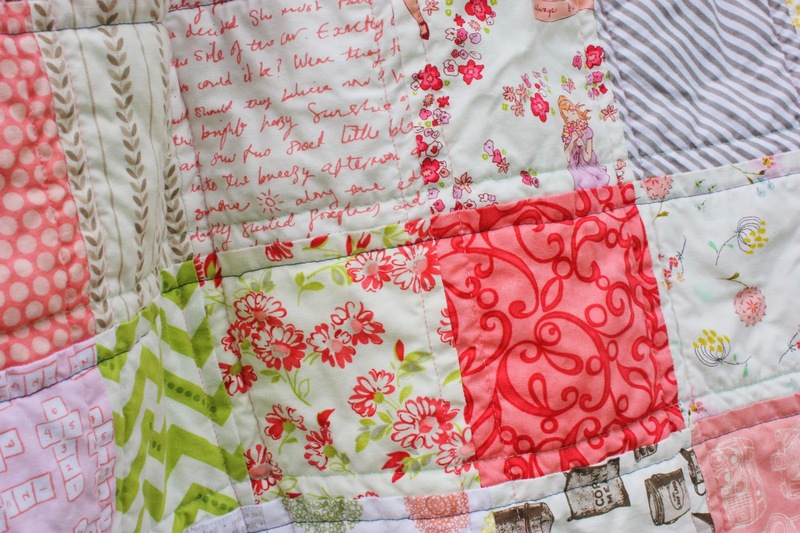 What a sweet quilt and beautiful photos! This is a Sunday afternoon nap in the sunshine just waiting to happen! Very pretty. Welcome to my blog! Come in, make yourself comfy and have a look around!